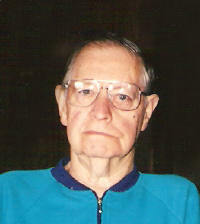 Lewis E. Dewese, 83, of Carlyle, died Saturday, April 4, 2009 at Carlyle Healthcare Center. Mr. Dewese was born August 2, 1925 in Wayne County, IL to David and Lucille (Marshall) Dewese; they preceded him in death. He married Frieda Meeks on June 18, 1946 in Sturgis, Kentucky; she preceded him in death on April 10, 1995. He then married Dorothy Doren-Rochell on June 2, 1997 in Eureka Springs, Arkansas and she survives in Carlyle. Also surviving is his children Elizabeth (William) Pratt of Cape Cod, Massachusetts, Deborah (James) Smith of Granite City, and Lewis Dewese, Jr. of Lebanon; 5 Grandchildren, Teresa, Vince, Roy, Billy, and David: 6 Great-Grandchildren, Katelynn, Tyler, Kara, Courtney Lyn, Emma Rose, and Megan; and a brother, Harold Dewese of Urbana. Also preceded in death by a sister, Pauline Goings, and brothers, William Dewese and Larry Dewese. He was a member of the Church of God in Carlyle. Funeral Services will be Thursday, April 9, 2009 at 10:00 AM at the Moss Funeral Home in Breese with Pastor Chuck Waggoner officiating. Interment will take place at 2:00 PM at Bouldin Cemetery, Eddyville, IL. Visitation will be Wednesday, April 8, 2009 from 5:00-8:00 PM and again Thursday, April 9, 2009 from 9:00-10:00 AM at the Moss Funeral Home in Breese. Memorials can be made to the Bouldin Church and will be received at the funeral home.